In an age of interpretation, style eludes criticism. Yet it does so much tacit work: telling time, telling us apart, telling us who we are. What does style have to do with form, history, meaning, our moment’s favored categories? What do we miss when we look right through it? Senses of Style essays an answer. An experiment in criticism, crossing four hundred years and composed of nearly four hundred brief, aphoristic remarks, it is a book of theory steeped in examples, drawn from the works and lives of two men: Sir Thomas Wyatt, poet and diplomat in the court of Henry VIII, and his admirer Frank O’Hara, the midcentury American poet, curator, and boulevardier. Starting with puzzle of why Wyatt’s work spoke so powerfully to O’Hara across the centuries, Jeff Dolven ultimately explains what we talk about when we talk about style, whether in the sixteenth century, the twentieth, or the twenty-first. 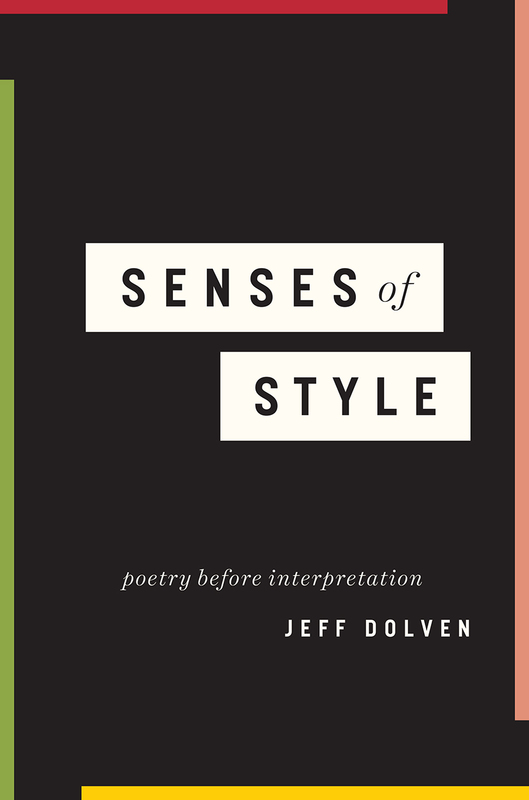 "The resistance to style is what makes Dolven’s protagonists such compelling objects of study. Like impish players who flout the rules of a game only to make us articulate them, O’Hara and Wyatt illuminate the secret logic of style in precisely the moments when they evade it." "It is a sign of how much Senses of Style moves our thinking about its titular term that we can ask these questions as we try to grasp the flexible limits of a concept without becoming sclerotic about it. Dolven would likely agree with Jonathan Kramnick and Anahid Nersessian when they argue for embracing a pluralistic view of form, in which the word means different things to different scholars depending on what they are trying to explain. But 'style' has not had the benefit of the explosion of discourse we have seen around 'form' in the twenty-first century. Dolven’s fabulous book invites us to remedy the situation. Allowing us to take stock of the various concepts we have of style and of the questions to which they respond, it is sure to lead the way to new directions in stylistic analysis."